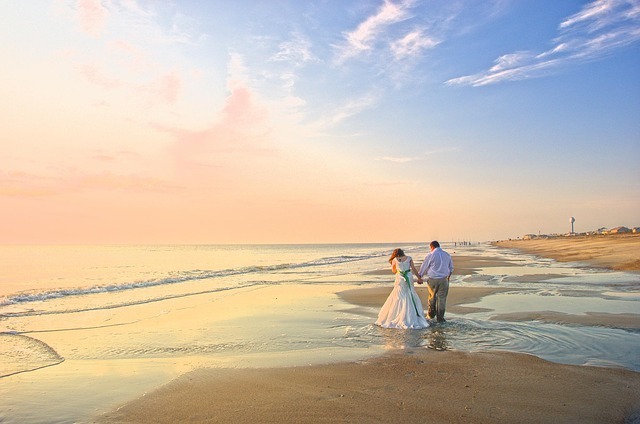 The soft sand, the bright sparkling water, and the sunset in the distance definitely make beaches one of the most romantic settings for a wedding. However, there are a lot of considerations to make sure that your big day by the seaside goes exactly as you planned. 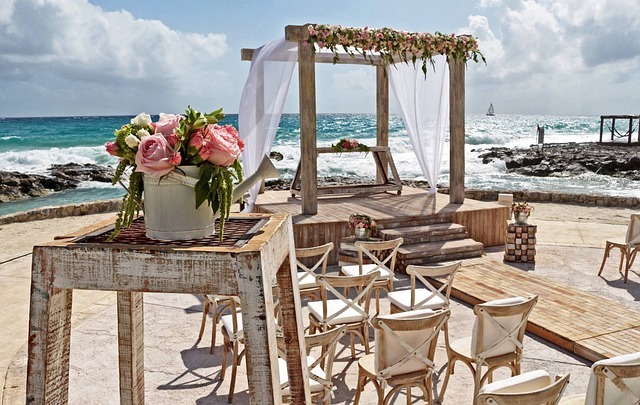 Here are a few tips to help you create the most beautiful beach wedding. 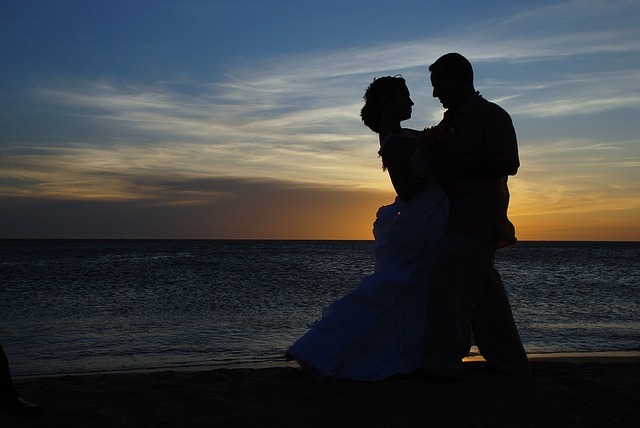 Timing is essential in planning your beach wedding. Whether this is a destination wedding or a nearby beach, make sure that you are familiar with the weather to avoid the rainy or hurricane seasons. Likewise, you should avoid scheduling the ceremony in the middle of the day when it’s too hot. Also, educate yourself on the local ocean tide to be able to choose the perfect time so you and your guests will not be half submerged in salt water in the middle of the ceremony. A beach wedding is not the time for ball gowns and high heels. So skip the bulky dress and look for lightweight yet stylish dresses that will elegantly blow with the cool breeze. You can then opt for sandals or go barefoot instead. You should also consider how you will wear your hair. It may be tempting let your hair down or style it loosely to achieve a more casual style but this will be a nightmare for you when it gets windy. To ensure that all your guests are dressed appropriately and comfortably, let them know that the wedding will be by the beach and on actual sand. Temperatures can fluctuate so remind them through your invitation that they should be prepared. Considering all the factors like the heat, wind, or tide, you and your guests may not want to spend the whole afternoon by the water. So keep the ceremony at a decent length so you can proceed to your reception area. Unfortunately, no matter how much you plan and prepare for your big day, you cannot control the weather. It is better to have a backup plan like a tent or a nearby indoor space where the wedding can still take place.